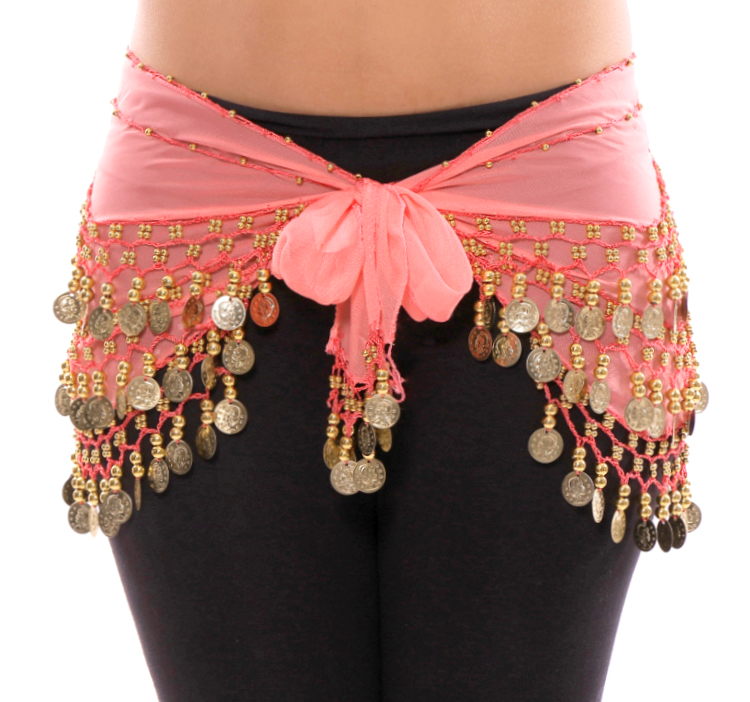 Complete your costume or dance class attire with this lovely imported shimmy belt. 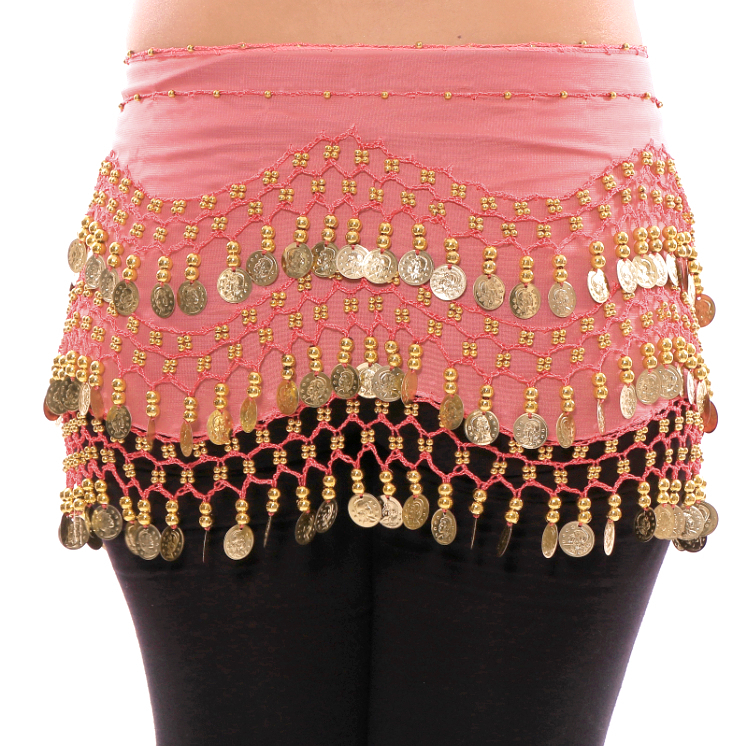 Complete your costume or dance class attire with this lovely imported shimmy belt. Chiffon base with intricate beading and faux metal coins - you won't just look good, you'll sound good! 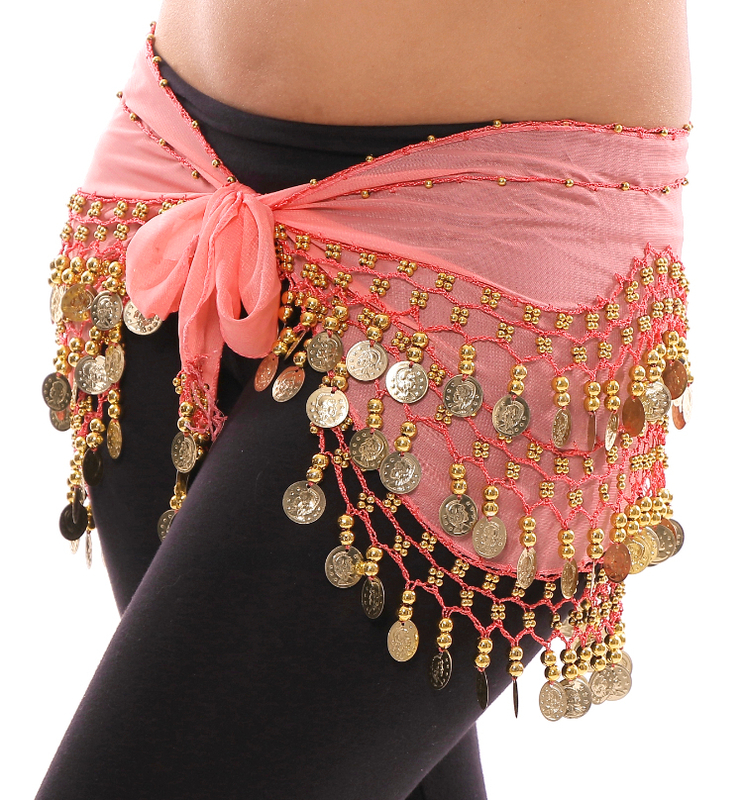 Great for any style of belly dance, fitness program, or any time you want to make some noise!?? S/M- Total width (end to end) 53 - 59 inches; Decorated section 30 - 33.5 inches; Length (NOT including coins) 7 - 8 inches? Beautiful and beautifully made too! I've been looking for A Coral colored scarf to match my veil for a while now. It's perfect! Color is as shown and coins are bright and jingly.